1) Make them go away. Unless scrubbing doesn't work. 2) Cover them up. Unless your mom yells at you for using a marker. 4) LIVE WITH THEM! Because after all, the things that make you different also make you YOU. 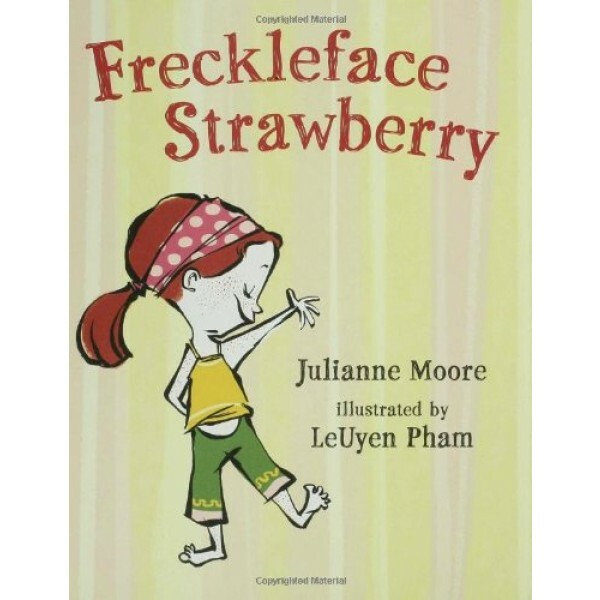 From acclaimed actress Julianne Moore and award-winning illustrator LeUyen Pham comes a delightful story of a little girl who's different ... just like everybody else. 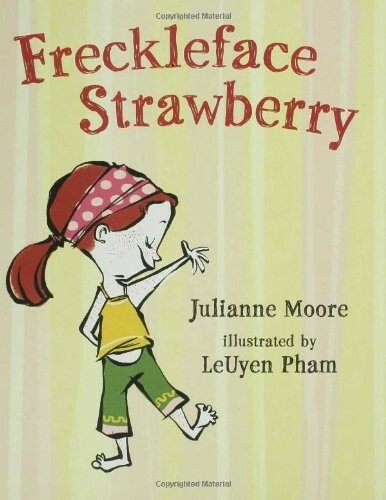 Julianne Moore makes her literary debut with Freckleface Strawberry, a darling and delightfully illustrated laugh-out-loud story of a young girl learning to love the skin she's in. Browse the first few pages below (click on any image to enlarge) and we guarantee you'll want to follow this feisty, freckled little lady wherever she goes.